With the rough storms of the economy we find ourselves in, it is time to get prepared. The key to surviving an economic downturn is preparation. If you don’t have a survival plan in place you may not remain afloat during bad economic times. Here are seven items to consider for your economic downturn survival kit. Go through your expenses and cancel all expenses which are not necessary to run your business successfully. If the process does not directly contribute to the making of the product or service, then the chances are you don’t need it. Bonuses and incentives may be needed to put on hold until the economy turns around. The first place where people cut on their budgets when the economy becomes bad is their marketing but this is a bad idea. How will your customers know where you are and how will you find new customers? It is important to create awareness about your product and service. Furthermore, it will be a good idea to look into low-cost marketing ideas like social media and word-of-mouth. These marketing plans cost very little to nothing to implement. Your customers are key to surviving an economic downturn. You need to focus on your current customers and keep them happy. If they know you will be with them during the bad times, then they will be there during your good times. Make sure that your customers pay you on time. Ensure that your after-sales service is excellent. By ensuring you offer quality to your customer at this time and during your good times your clients will keep coming back. Remember your customer is king when it comes to business. As has been said many times, cash flow is the lifeblood of a small business. If you don’t have a good inflow and outflow of cash your business may not survive. In this event, it is important that your customers pay you on time and it is important that you limit how much cash you are spending and what you are spending your cash on. It is important to have well-trained staff so that they are able to make accurate decisions based on their knowledge. Teach them about your processes and your products. If the staff member is interested in other aspects of your business train them in that field. You never know when you may need them to do a bit more during tough times. If you make a change on how you pay your staff or the hours you want them to work then you need to apply those rules to you first. You can’t expect your staff to respect you and support you if you don’t lead by example. They will resent you if they suffer and they perceive that you don’t. Check your product and what your competitors are doing in your industry and then see where the opportunities are and how you can fill them. By diversifying your offering, you will be able to tap into a new market and spread your risk among a group of customers. If you are a physical shop, you could consider going online. 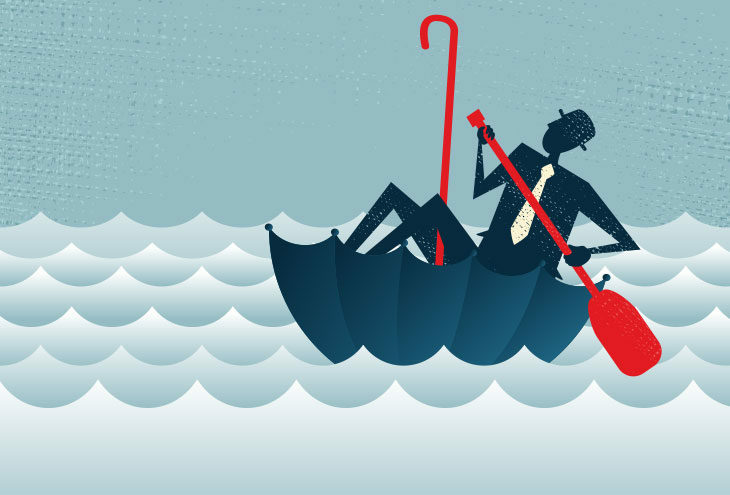 By having these seven considerations in your survival kit, you will be well-prepared to weather the economic storm when it hits.